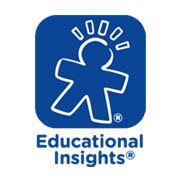 EDUCATIONAL INSIGHTS PLAY FOAM 8 COUNT - GIVEAWAY LISTED UNDER MOM TO GRANDMA GIVEAWAYS! EDUCATIONAL INSIGHTS HOT DOTS PEN AND FLASH CARD SET! FIND THESE GIVEAWAYS UNDER MENU. Make Sure You Leave Your Name Last Initial and email address! I will check this 1 entry! Good Luck Everyone! Wait for Raffle Copter to load!